No idea how to kick start your business entity? Home News No idea how to kick start your business entity? 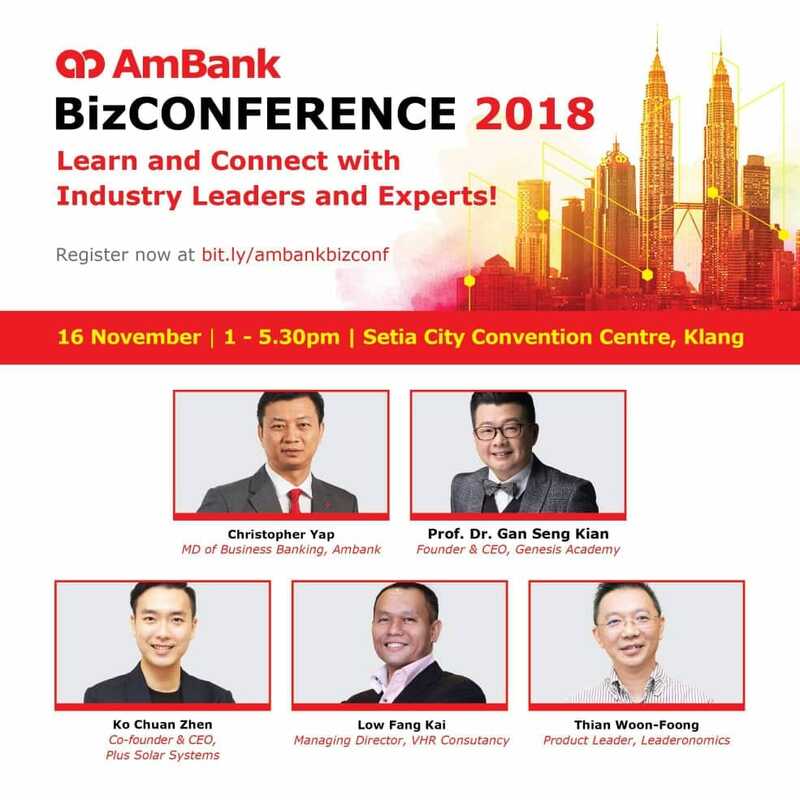 Today, Ambank BizConference 2018 is offering a chance for you to learn with the industry leaders. Our CEO, Mr Ko Chuan Zhen is one of the speaker and he is going to share with you his experience in starting up a business and what is the latest technology in solar industry. It is the opportunity you’re waiting for to meet up and learn from different industry players!